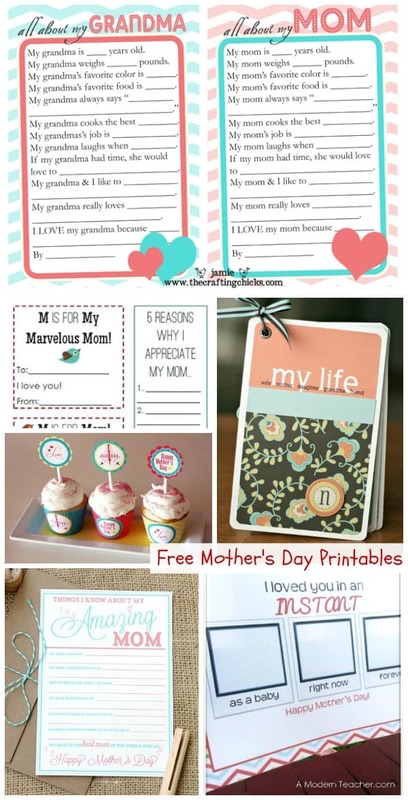 Your Mother’s Day preparation just got a whole lot easier with these free Mother’s Day printables! There are so many adorable & creative ideas here that would be great keepsakes. I have a feeling you’ll want to put a lot of these into your family scrapbook! This is a collection of ideas from other talented bloggers and writers. To see the full details on these ideas and to access the freebies, simply click on the title of each idea and it will open in a new window for you. You can also visit our special Mother’s Day page for even more fun ideas & freebies! Kids really do say the darndest things, don’t they? 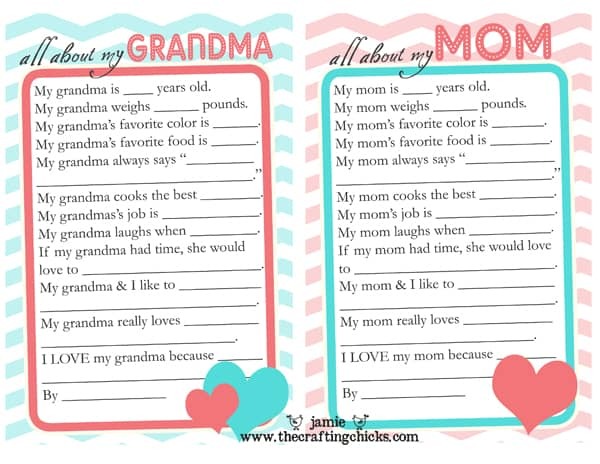 These All About My Mom and All About My Grandma questionnaires (pictured above) by The Crafting Chicks are sure to be filled with funny answers from your little ones. Even if they can’t write yet, Dad can help by writing out their answers. 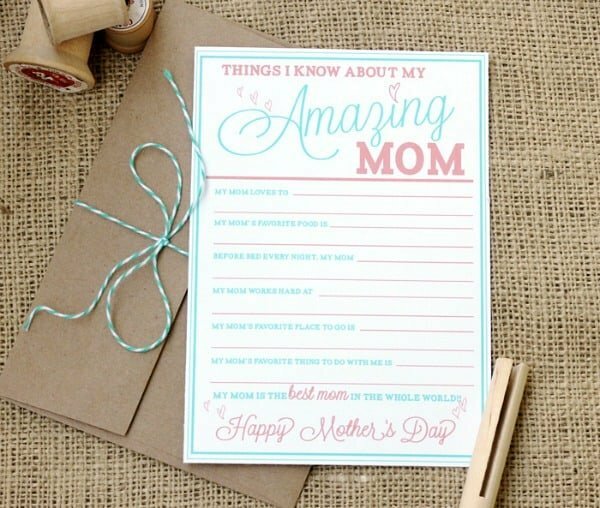 Another fun questionnaire is this Things I Know About My Amazing Mom card by Kori Clark. I can only imagine the humorous answers that kids will have for these questions! 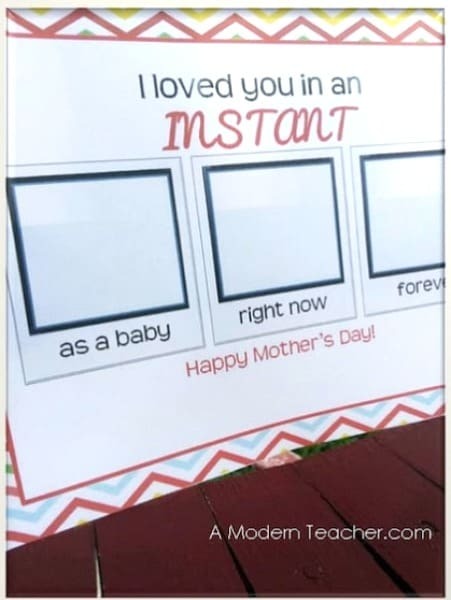 This All About Mom album by Simple As That is such an adorable idea! 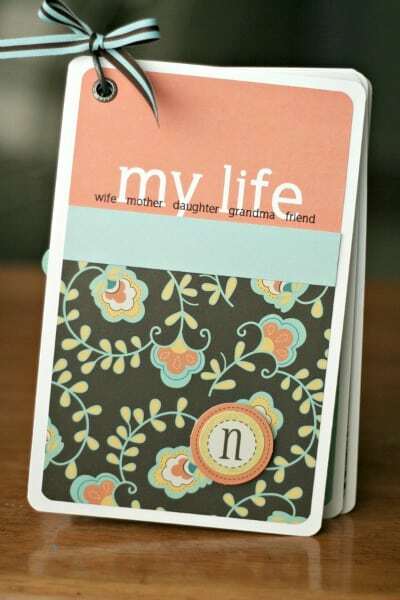 The free templates are provided for your use and you fill in the information all about your mom as a special keepsake. This I Loved You In An Instant card by A Modern Teacher gives your child the opportunity to express themselves through art by drawing pictures of themselves in the past, present and future. Do you know why your kids think you are marvelous? 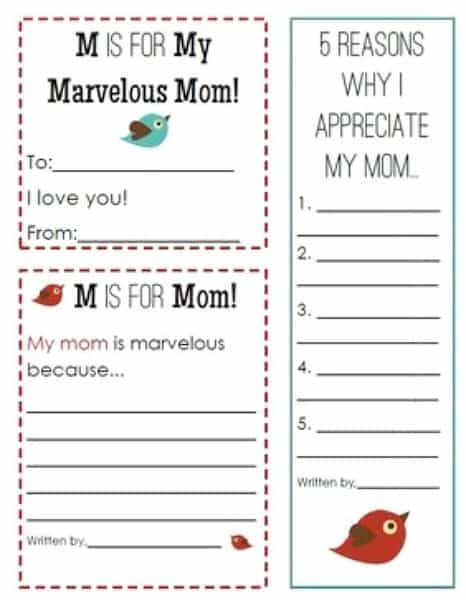 Now is a great time to ask them with these M is for Mom printable pages by Erin Wing as featured on Teachers Pay Teachers. 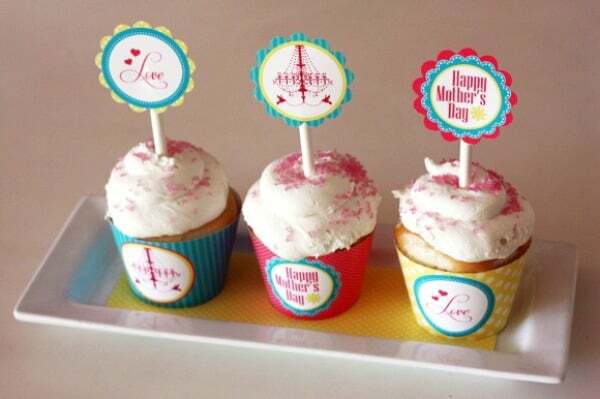 This pretty Mother’s Day printable set by Sarah Hope Designs as featured on Catch My Party includes cupcake wraps, bottle wraps, straw flags, mini cake bunting flags and more. It’s such a pretty set! Don’t forget to visit our special Mother’s Day page for even more fun ideas & freebies!